Choices – Those who book early will have access to the best choices at your resort, cruise line, seats on the aircraft, etc. By booking early you get to choose the best option for you and not just pick from what is left. Convenience – Nonstop flights with the most desirable times are the first options that will sell out. 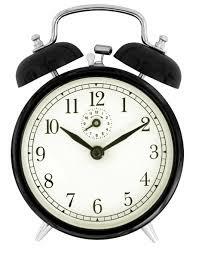 The earlier you book, the better to schedule you tend to find. The best room and cabin locations also tend to sell out first, again by booking early you snag the best locations! Budgeting – With most cruises and packages you will pay just a small deposit upfront, with the remaining trip balance due about 45-60 days prior to departure. You can make payments with any dollar amount you choose, up until the final payment due date, helping to budget for your trip. 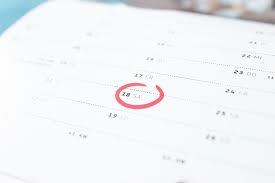 Planning – By booking early you have to time to review all the information about your destinations and make your plans. Some tours and excursions can sell out months in advance. The earlier you start your planning, the better. How far in advance should you make your reservations? Here’s a quick guide, but again usually the sooner the better! Holiday Travel – We recommend booking holiday travel as soon as flights become available, usually 330 days prior to departure. Traveling after the Christmas holiday and over New Years is one of the busiest travel times of the year, those in the know book early! Cruises – We highly recommend booking during Wave season which typically runs January through the end of March/early April. This is when cruise lines usually offer their best promotions and pricing. If you confirm at other times of the year, there are additional promotions available as well, and we have access to many special rates and amenities throughout the year. River Cruises – A year in advance is not too soon. River cruising has become very popular and the ships are small. It is common to find sailings sold out during the popular times of spring, summer and fall. at least 6 to 10 months in advance. Walt Disney World – At least 6 months in advance when dining reservation are released, but the earlier the better, especially for peak travel times. For most other vacations a good guide is 6-9 months prior to travel, when you will still tend to find good availability and pricing. Contact Geneva Travel & Cruise today at 630-845-8999 and we’ll help you start the planning process early, getting you the best and right options for you. Time To Make Your Spring Break Travel Plans! It’s hard to believe today is the first day of fall and summer has come to end. With the end of summer this should be your reminder to make your travel plans for the busy upcoming travel season. There is still good availability for spring break and the earlier the better to confirm your reservations, to receive the best pricing and options. Spring break is definitely not a time you want to wait last-minute to make your plans! If you are planning to travel after Christmas and over New Years, the options are very limited at this time. We are still seeing availability, but space is filling up very quickly. Don’t delay if you wish to travel at this time. Need another reason to book early? As an added incentive we’re giving away one FREE round-trip airport transportation to/from your home (up to $150 value). Just book your travel with us by November 15, 2015 for travel January 1st – April 30th, 2016 and you’ll be automatically entered into the drawing for the free airport transportation. Already have your travel booked for this time period? No worries, you’re automatically entered too! Why should you choose Geneva Travel & Cruise to assist with your travel planning? Our travel consultants will take the time to get to know you, so that we are sure to provide the best options for you. You will work with the same consultant from beginning to end, who will guide you through every aspect of your trip. We are here to answer any and all questions, provide assistance before you travel, while on your trip, and after you return. We are one phone call or email away when needed (no call centers or long wait times!). We reconfirm your reservations prior to travel, advise of any special occasion you may by celebrating (be sure to notify us! ), and take care of all the details related to your trip. We do everything possible to ensure you have a smooth and stress-free travel experience. Contact Geneva Travel & Cruise at 630-845-8999 today and we’ll help you find that perfect destination! 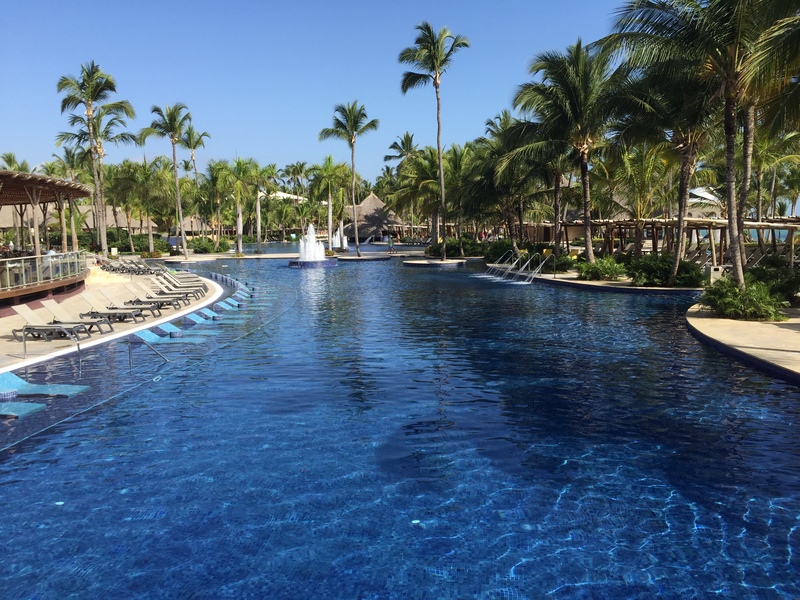 I recently traveled to Punta Cana, Dominican Republic and stayed at the Barcelo Bavaro Palace Deluxe. 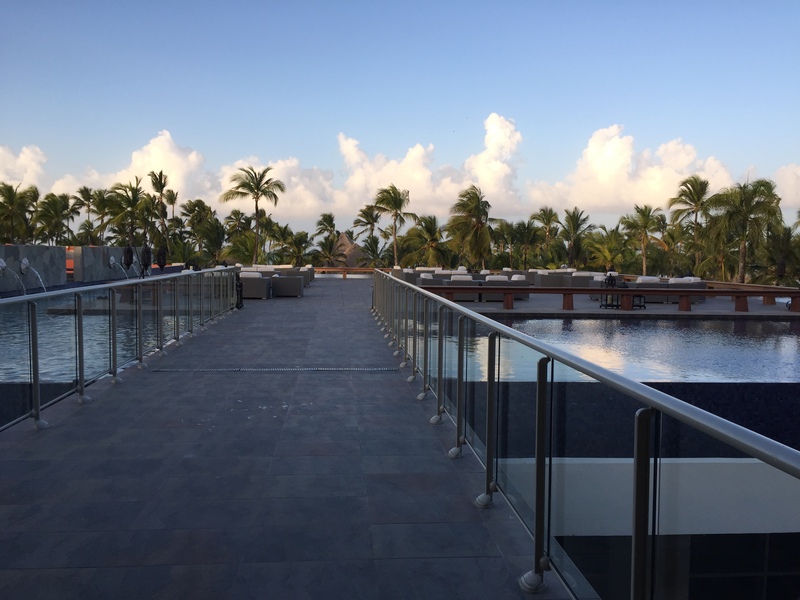 I am a big fan of the Barcelo Maya Palace in the Riviera Maya, which made me even more excited to visit their resort in Punta Cana. My trip began with a fairly quick nonstop flight to Punta Cana from Chicago. After arrival at the airport, our nonstop transfer had us to our hotel in about only 15-20 minutes. We were greeted with a cocktail while checking into the resort, which was a fairly quick process. We were then taken to our room via golf cart, as this hotel is rather large. Our room was nice sized, located on the golf course, and had a very pretty view, great sunsets! If you want to be as close to the pool and beach as possible, definitely upgrade to the ocean view rooms. I didn’t mind the walk from our section of the hotel however, great way to burn a few extra calories! One of the things I love most about the Barcelo Maya Palace is the amazing large pools and great beach. The Barcelo Bavaro Palace Deluxe doesn’t disappoint in this area as well. Very nice size pools that never felt crowded, and the beach really can’t be beat. Long and walk-able on white powder sand, and no rocks in the water, just perfect! There are many dining options at the resort, I tried the steakhouse and seafood restaurant during my short stay, and the food was excellent. I really enjoyed my melt in your mouth filet at the steakhouse, and 2 lobster tails at the seafood restaurant. There is outdoor seating available from both of these restaurants, nothing beats dining outdoors while in the tropics with a waterview! 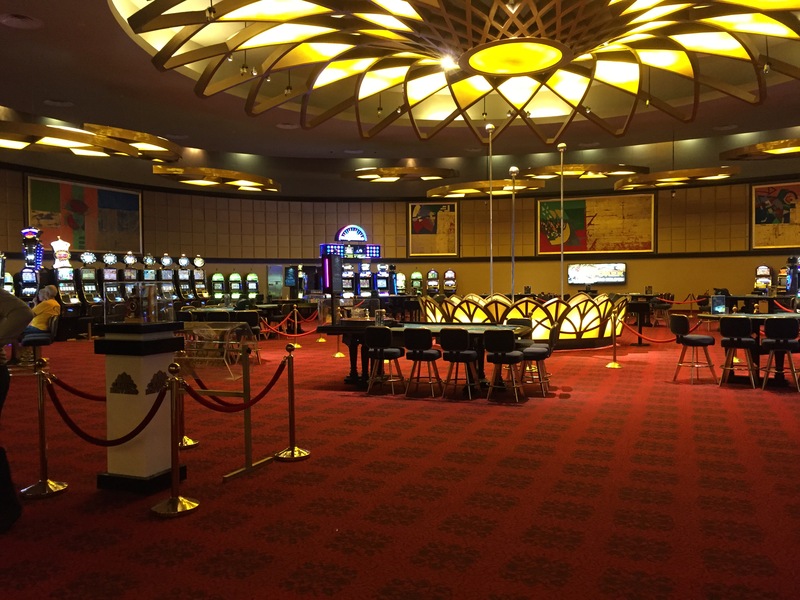 There was plenty to do at night at the resort, a good size casino, shows at the theater and a nice sports bar. It seemed like there was a little more going on at night at this resort vs. the Barcelo Maya Palace, which I liked. 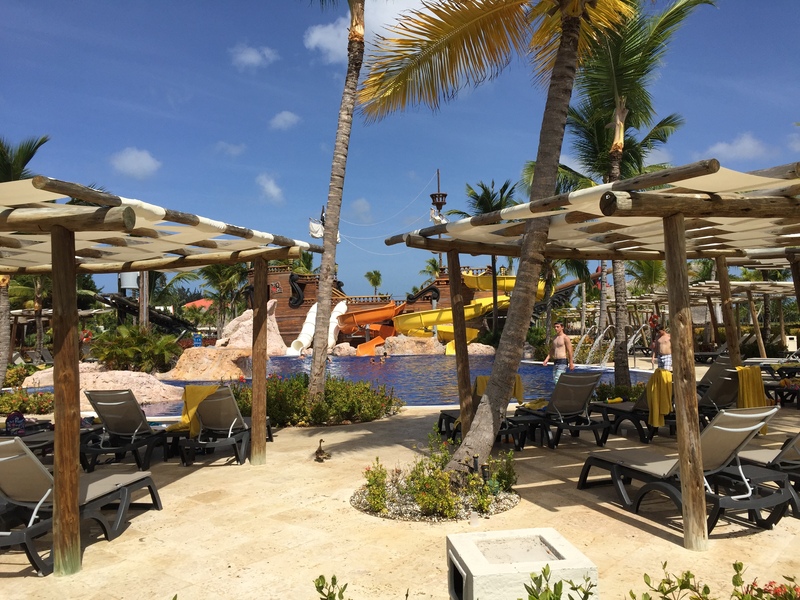 For families, not only will the calm water and wonderful pools keep the kids busy during the day, but there are also two great water parks, one for the little ones and older kids as well. If you’re looking for even more to do during the day and enjoy golf, there is a 18-hole course located right on the property. There also were several weddings taking place during my stay. I think this is an excellent resort for weddings as there is something to do for everyone. 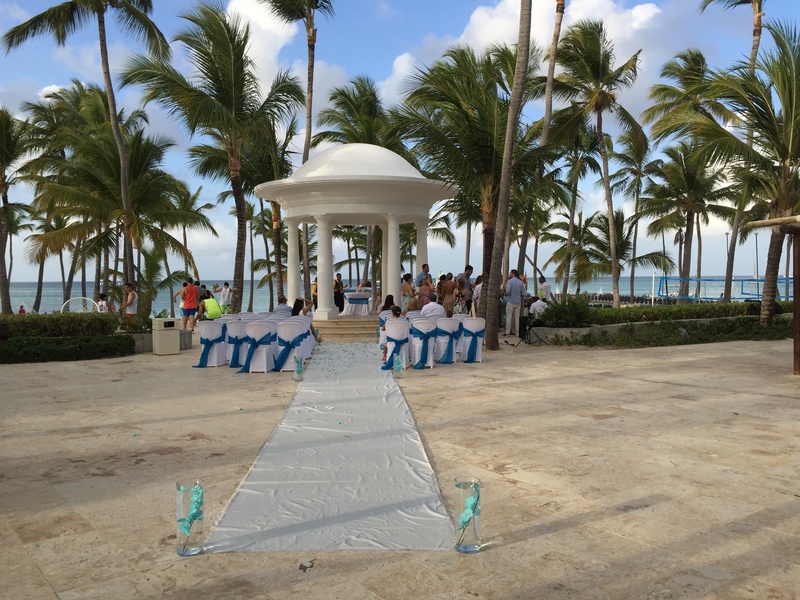 There are some great locations for your ceremony including a gazebo, pier, sky terrace, and of course on the beautiful beach. 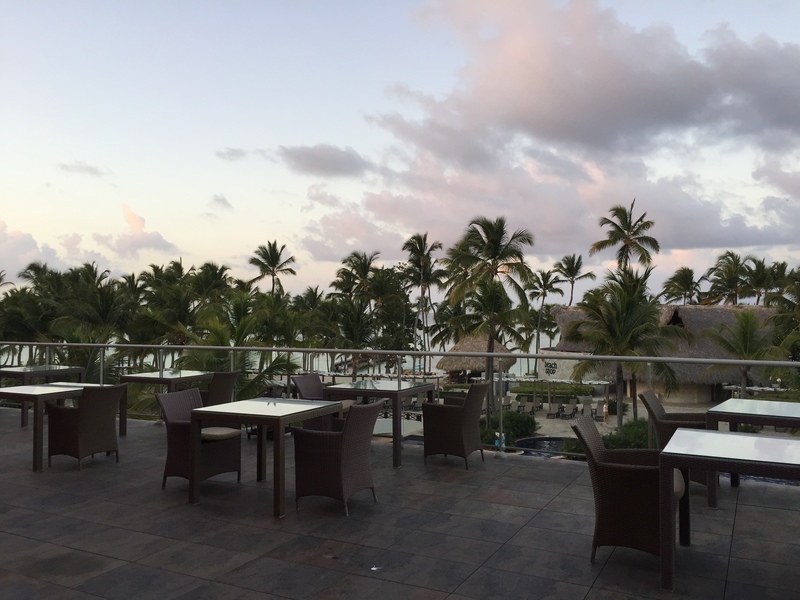 Overall, I was very pleased with my stay at the Barcelo Bavaro Palace Deluxe and would highly recommend. Please contact Geneva Travel & Cruise at 630-845-8999 anytime for further details or to book your getaway to beautiful Punta Cana, Dominican Republic. The clock is ticking…time to make your holiday travel plans! Are you thinking about traveling over Thanksgiving or between Christmas and New Years? If so, the clock is ticking! Southwest Airlines has released their flights through January 4, 2016, and for holiday travel it is definitely best to make your plans as early as possible. There is still availability for this peak holiday period, but it is booking up fast. Contact Geneva Travel & Cruise at 630-845-8999 today and we’ll help you find that perfect destination! One island, two countries. The Dominican Republic and Haiti share the island of Hispaniola, the second largest island in the Caribbean. Unlike it’s sister nation, however, the Dominican Republic has in recent years become one of the Caribbean’s most sought after playgrounds. With hundreds of miles of beaches and reefs, there is no shortage of sand and sun for visitors to the Dominican Republic. Travelers there inevitably compare the sand texture to sugar, but the crystal blue waters are an equally attractive asset. The Dominican Republic’s pristine beaches are slowly becoming the destination of choice for leisure travelers from the United States and Canada looking for real value and extraordinary all-inclusive vacations. Punta Cana has quickly emerged as the most popular beach destination. 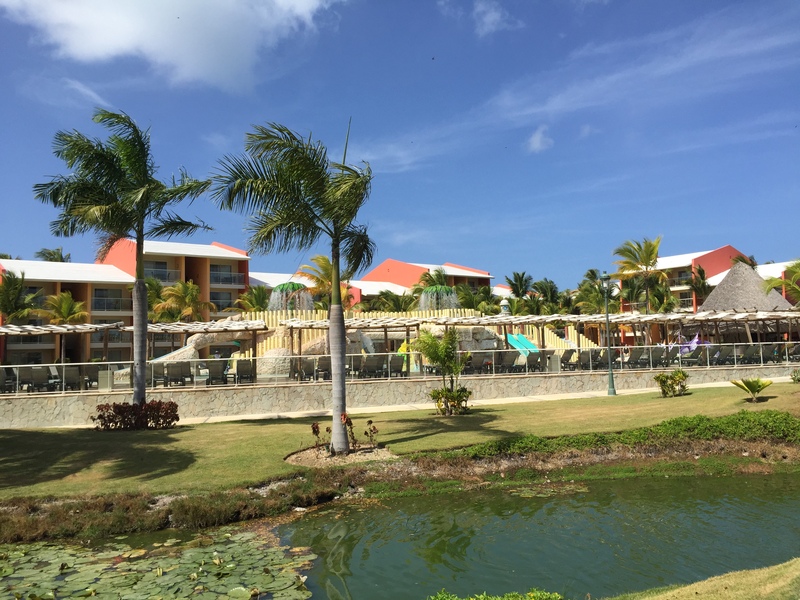 Here, many of the island’s top beachfront resorts, amazing oceanfront scenery, and plenty of places for entertainment and activities have sprung into being. Numerous bars, restaurants, nightclubs, and shops dot a landscape where only a few years ago only small villages and hotels catering to a mostly European crowd existed. The Dominican Republic’s beaches remain unspoiled Caribbean jewels. Almost 800 miles of coastline, and some of the most dazzling sand anywhere ensure vacationers will never have far to go to find great surf and a stretch of soft, white sand to enjoy. 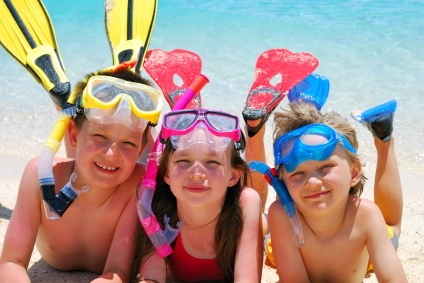 Because the region is, in many respects, still in a very young stage of its development as a destination, vacationers the crowds are all on other islands in the region, giving DR beach goers space to enjoy themselves on the island’s seashores. This naturally calm, clear and warm water makes the DR an ideal location for water sports and swimming. The beaches are amazingly flat and very wide, easily walked or traveled on horseback, a favorite activity of many visitors. The giant expanse of white sand creates a relaxed feeling of spaciousness, never crowded. These gorgeous beaches are safe to swim year-round, and activities abound with pastimes like scuba diving (Punta Cana has 22 diving sites), snorkeling, windsurfing, kayaking, water biking, sailing, beach volleyball or soccer. On the easternmost tip of the island, Punta Cana is famous for its spectacular beaches and completely transparent waters, With over twenty miles of white sand and palm trees. Few other destinations in the Caribbean rival the area for its pristine, clean water and open air. Punta Cana’s climate is dry and it rarely rains during the day, the arid flora like palm trees nevertheless flourishing all along the coast. The influence of the early European crowds remains with a variety of hotel chains catering to a multinational crowd. North Americans have discovered Punta Cana, however, and now luxury all-inclusives with richly featured beach and pool facilities are found along the shore, edging right up to the water. 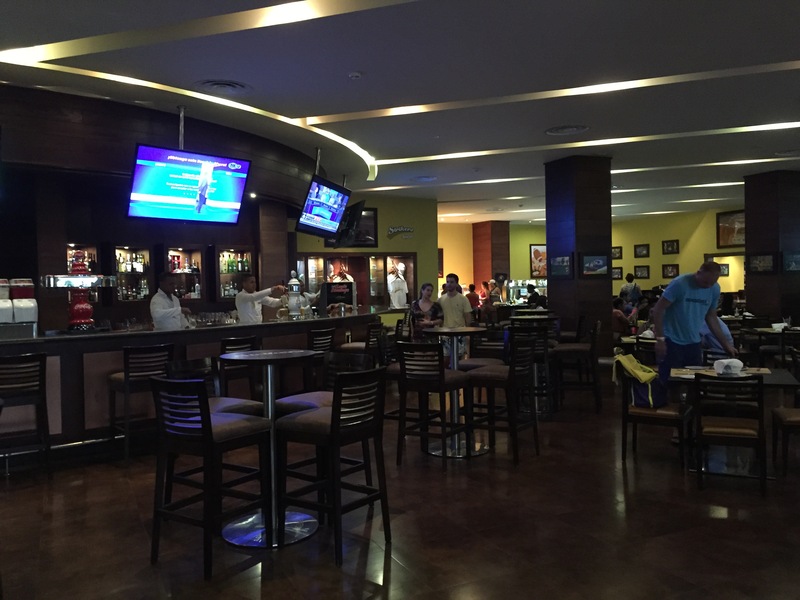 There is a crisp, new feeling to the hotels and resorts here, and endless buffets. 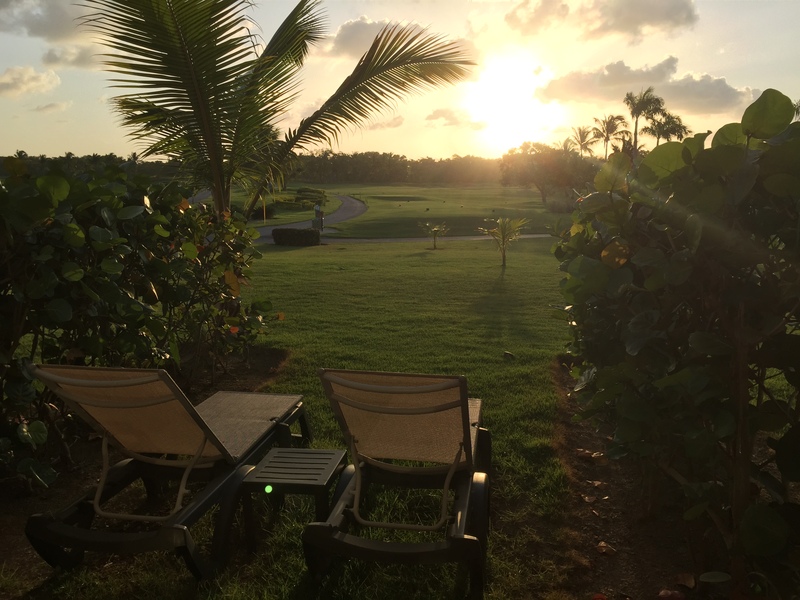 Punta Cana is a retreat for pure relaxation and enjoyment. Punta Cana currently has 12 professional golf courses from designers such as Jack Nicklaus, P.B. Dye, Tom Fazio and Nick Faldo all within a short drive from each other. Several more are in the planning stages and it’s clear that the Dominican Republic is on a headlong rush to become the primary gold destination of the Caribbean. Best of all, Punta Cana remains a real value. 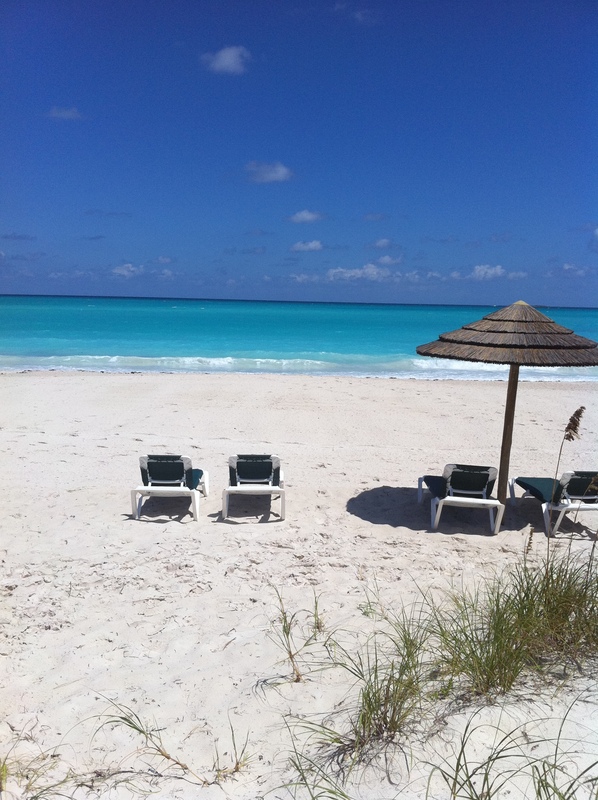 Prices here can range hundreds of dollars less than better known, Caribbean destinations. 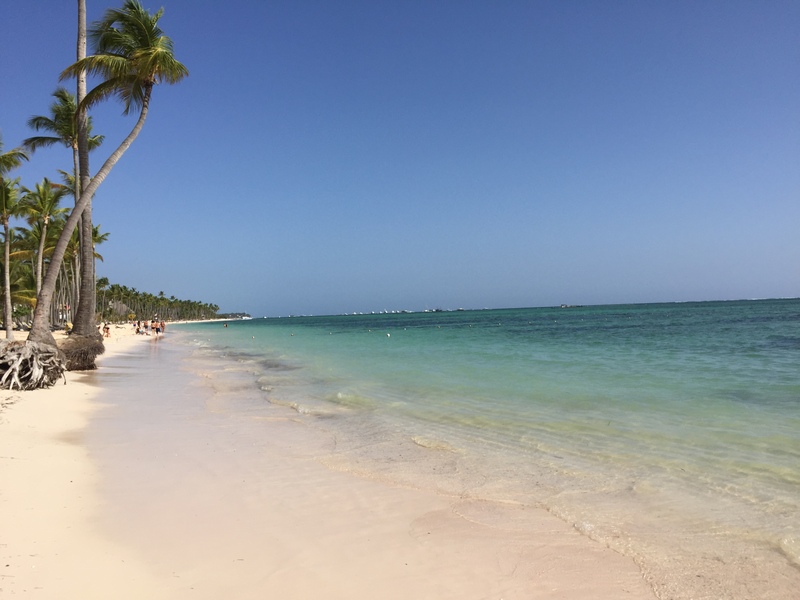 So if it’s value you seek, sugary white sand and swaying lines of coconut palms, Punta Cana should be on your short list of destinations to get to know. Contact Geneva Travel and Cruise and start planning your vacation. Time to make your winter and spring break travel plans! Labor Day has come and gone, and summer is unfortunately coming quickly to an end. With winter just around the corner, now is the perfect time to make your winter and spring break travel plans. Those who book early will receive the best pricing and choices, when there is still good availability. The best options always sell out first! Are you worried about having to pay for your trip so far in advance? Did you know that most of our preferred tour operators will allow you to pay just a small deposit, with your trip balance not due until approximately 45 days prior to travel? This allows you to lock in the lowest rates now, but pay in full much closer to your departure date. Need another reason to book early? As an added incentive we’re giving away one FREE airport transportation to/from the airport (up to $150 value). Just book your travel with us by October 31st, 2014 for travel January 1st – April 30th, 2015 and you’ll be automatically entered into the drawing for the free airport transportation. Have we already booked your travel plans for this time period? No worries, you’re automatically entered too! To begin your travel planning contact Geneva Travel & Cruise today. We look forward to helping you plan that perfect getaway!